Product prices and availability are accurate as of 2019-04-16 11:03:01 UTC and are subject to change. Any price and availability information displayed on http://www.amazon.com/ at the time of purchase will apply to the purchase of this product. This long range wireless remote electromagnetic lock kit allows for you to add a magnetic lock of your choice that can be activated wireless from 1200 ft away. Includes 1 Push to Exit button, 1 Transformer / power supply, Wireless Long Range Remote Kit that includes a receiver, an antenna and 2 visor remote control transmitters. All Magnetic Locks Include Armature Plate & Mounting Hardware For Basic Out-swing Applications. 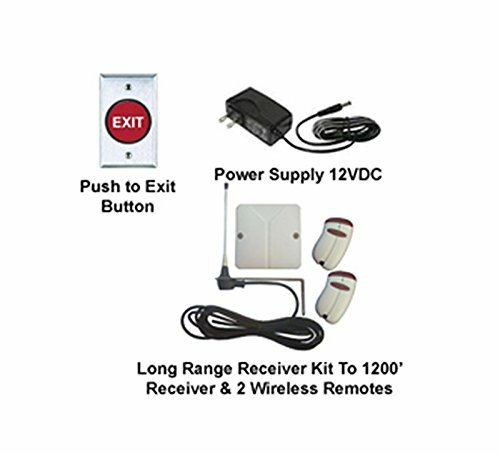 Long Range 1 Channel Visor Remote Kit with Receiver and Antenna (433 MHz): This kit includes 2 single channel visor transmitters, 1 receiver and 1 antenna. System works on 433 MHz and has a range up to 1200 ft. line of sight. 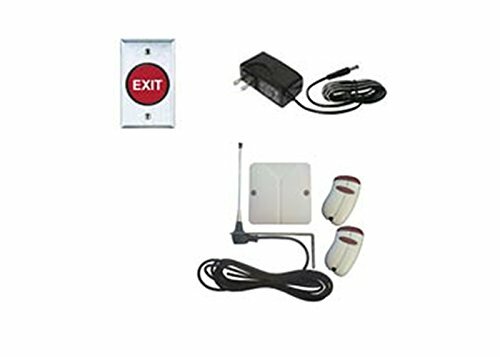 Channel Long Range Visor Remote Kit: This kit includes 2 single channel visor transmitters, 1 receiver and 1 antenna. System works on 433 MHz and has a range up to 1200 ft. line of sight with coaxial cable addition and compatible receiver.